Feb. 18, 2015, 2:57 p.m.
By Caroline O’Donovan @ceodonovan Feb. 18, 2015, 2:57 p.m.
Matter, the public-media startup accelerator in San Francisco that began as a collaboration between PRX, the Knight Foundation, and KQED, is ramping up for a busy 2015. After announcing new media partnerships earlier this week with organizations include McClatchy, the AP, Community Newspaper Holdings, and the A.H. Belo Corporation, today they’ve released the new class of media entrepreneurs chosen to participate in Matter’s program. There are six all together, including Stephie Knopel’s PersonalHeroes, Niles Licthenstein’s The History Project, Tamara Manik-Perlman’s NextRequest, Lara Setrakian’s News Deeply, Arjun Mohan’s Eureka King, and Jennifer Brandel’s Curious Nation. While previous Matter classes have mostly been made up of relatively unknown entrepreneurs looking to build media-related products, some names among the new class will be familiar to Nieman Lab readers. 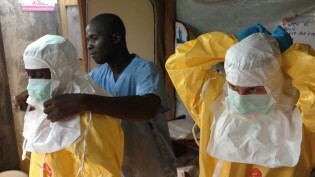 Setrakian, for example, is the founder of News Deeply, the single-subject news network that creates content around timely, specific stories as they develop, such as Ebola Deeply or Syria Deeply. Setrakian hopes to focus on continuing to grow the News Deeply project and brand. “We’re here to solidify the proposition, to take the single-subject news model that we’ve come to be known for and turn it into a successful, scalable media startup,” she says. Brandel is another familiar face in new media to join Matter. 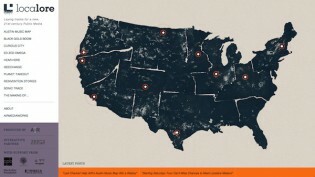 Brandel initially had success with her AIR-funded Localore project, Curious City, which allows the audience to contribute and vote on questions, which journalists then answer via their reporting and a variety of media packages. (Full disclosure: I worked on a few stories with Curious City when I worked at WBEZ in 2012.) With continued funding from AIR, Brandel has grown the project into a fledgling national network known as Curious Nation. Brandel plans to spend her time at Matter exploring the possibility of growing beyond public media, and of making the project sustainable. Matter’s new class will also include some up-and-coming media entrepreneurs. Arjun Mohan and his cofounders lived in San Francisco hostels for six weeks while trying to jumpstart their company, Eureka King. The idea: to connect smaller publishers with young, innovative technology companies interested in reaching a niche audience to advertise their goods. “We thought it would be cool if we could connect the right publishers and communities with the right products coming out of the maker movement,” Mohan says. After a stint at the Plug and Play startup camp, Eureka King was brought into Matter. The Matter accelerator is known for human-centered design strategy and rapid wireframing of ideas. A big part of this process is doing interviews with potential users, so that founders can get a sense of what the market need actually is. For the Eureka King team, this system has already led to important discoveries. For example, Mohan spoke with the founders of Quitbit, a lighter that helps users reduce their smoking habit, about whether or not the company would, theoretically, be interested in being connected to publishers. What he found was that, because Google charges premium prices for advertising around keywords that deal with things like weight loss, car insurance, and smoking cessation, the idea of advertising online was cost-prohibitive for Quitbit. The interview helped Mohan isolate a problem in the interaction between consumer technology startups and their customer base, which Eureka King can now focus on trying to solve. While the basic principles behind Matter’s program have been the same all along, the increased participation of news industry partners will be somewhat new to this class. Matter’s three original partners are joined by three newspaper companies and the Associated Press in what Matter’s Corey Ford hopes will create a two-way street between the entrepreneurs and the broader news business. Matter’s media partners will participate in events like this month’s bootcamp as well as in monthly design reviews with the startups. The idea is to inject these legacy companies with some startup culture while providing the entrepreneurs with possible collaborators. Though most of the startups and media partners won’t have direct contact until their first design review on Thursday, the relationship has already begun to pay off in both directions. Mohan says that as a tech entrepreneur, he doesn’t know many journalists. Already, being a part of Matter has put him in touch with perspectives he wouldn’t have otherwise considered. For example, while Eureka King is concerned with using content to connect cool new products to an appropriate audience, publishers who hear the idea instinctively question how much revenue they’d actually get from such a deal. In exchange for this practical wisdom, publishers get the chance to look at the news business in a new light. Chris Williams is a digital strategist for The Dallas Morning News who recently joined the paper after over a decade in the gaming industry. He says the paper’s new relationship with Matter is an opportunity to rethink how they structure and deliver information. After some internal restructuring, Williams says the DMN is looking forward to a year focused on digital design and building apps. He intends to send teams from across departments — including product, business, technology, sales, and the newsroom — to Matter regularly to get some perspective on these projects. At the AP, senior vice president for strategy Jim Kennedy agrees that a big perk of the Matter partnership is the excuse to help individuals throughout the organization mix and mingle. “I’ve had occasion, in the week since we’ve been back, to be involved with meetings with the people who went on the trip, and you can already see the different perspective that they’re bringing to things,” he says. In addition to sending various AP employees to absorb Matter’s culture, Kennedy is also interested in bringing some of its principles in house. Housing Matter affiliates has been a successful strategy at KQED, something Kennedy says the AP could one day try to emulate. Part of the Matter process is that the startups are constantly pivoting. There’s no expectation that entrepreneurs will leave working on the same problem that they came in with — which makes it hard to say what the ultimate contribution of this new class to the news industry as a whole will be. Ford says that Matter’s focus is on the success of the companies it incubates, but he’s hopeful about the potential for matchmaking. “The hope would be that if each side recognized a win-win, that they could begin working together right away,” he says. That concept is very important to understanding Matter’s ethos: While other Bay Area startup accelerators are about finding the next Snapchat and raising huge amounts of venture funding, Matter is more about taking good ideas for media and seeing if there’s a way to make them sustainable, if not profitable. Brandel says this differentiation is part of what drew her to the program. Photo via @mattervc on Twitter. POSTED Feb. 18, 2015, 2:57 p.m.
O'Donovan, Caroline. "Media accelerator Matter tries to connect an entrepreneurial ethos to traditional media companies." Nieman Journalism Lab. Nieman Foundation for Journalism at Harvard, 18 Feb. 2015. Web. 19 Apr. 2019. O'Donovan, Caroline. "Media accelerator Matter tries to connect an entrepreneurial ethos to traditional media companies." Nieman Journalism Lab. Last modified February 18, 2015. 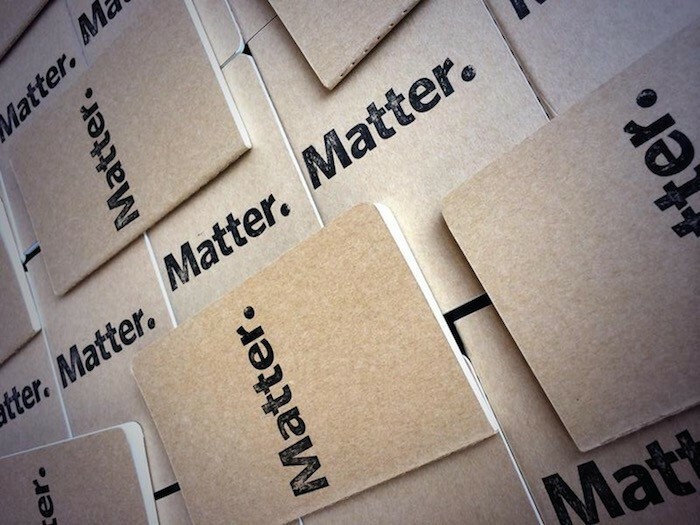 Accessed April 19, 2019. https://www.niemanlab.org/2015/02/media-accelerator-matter-tries-to-connect-an-entrepreneurial-ethos-to-traditional-media-companies/.